Farmers Daughter now offers a wide range of local blooms, grown and arranged in house. Stop by to grab one of our artfully arranged bouquets available on the go, learn the art of arranging at our flower classes, immerse yourself in our lush cut your own dahlia field or purchase one of our DIY flower buckets to bring your own creative flair to your next event. 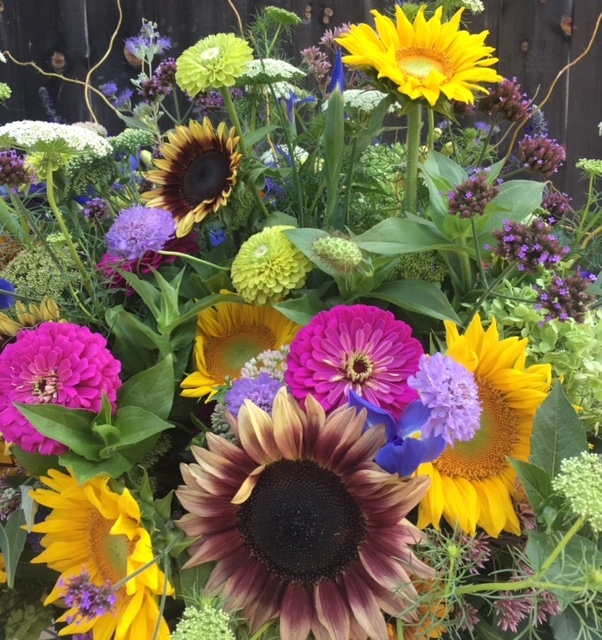 Quality, and freshness are the very best with locally grown flowers, the Farmers Daughter now offers a wide range of local blooms, grown and arranged in house. Stop by to grab one of our artfully arranged bouquets available on the go, learn the art of arranging at our flower classes, immerse yourself in our lush cut your own dahlia field or purchase one of our DIY flower buckets to bring your own creative flair to your next event. Don’t want to miss out on the growing? Peruse our extensive cut flower selection at our Spring seedling sale! The most beautiful arrangements start with fresh local flowers, the Farmers Daughter provides high quality local blooms. Dreaming of growing your own cutting garden? Want to grow your own flowers for a special event? There is no better way to keep the very freshest arrangements and blooms in your home than growing your own flowers for cutting. Our annual seedling sale now features a wide selection of the industry’s best cutting flowers, these are easy to grow, prolific and well suited for cutting and arranging. Visit our events and classes tab for dates and time. We will be offering an array of classes and workshops that teach design techniques, as well as cultivation and harvest of local blooms. We will offer classes in arranging from flower crowns to garden bouquets. Visit the events and classes tab for dates and times. Our team of skilled designers create unique bouquets each day, selecting from a diverse collection of our homegrown blooms. From Daffodils to Dahlias, these artfully designed bouquets are available for purchase at our front shop. Our sustainably grown flower fields are planted with an impressive diversity of blooms. A mix of colors, shapes and sizes, perfect for cutting and arranging for any theme. Enjoy the colorful landscape as you stroll the fields selecting your favorite blooms. We will provide you with shears and a container, and you can immerse yourself in the rows of color. Enjoy the satisfaction of designing your own arrangements with our DIY Blooms. We offer a pre cut selection of the finest blooms and fillers for your special event; perfect for bridal and baby showers, picnics, entertaining, and weddings. 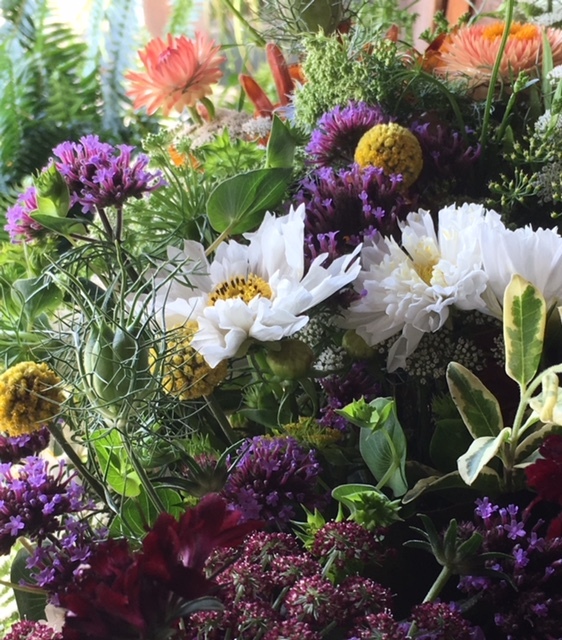 A truly seasonal floral selection, we will cut and select the blooms as the fields provide. An ideal choice for those seeking the freshest, local blooms with creative flexibility. The Soft Palette which features romantic blush tones. The Bright Palette which features vibrant high summer tones. Each Collection includes a balance of foliage, filler and focal flowers. The Collection includes enough flowers to fill about ten small vases. We encourage you to visit our fields for inspiration. Flower varieties will vary within the palette collection weekly based on field and seasonal availability .